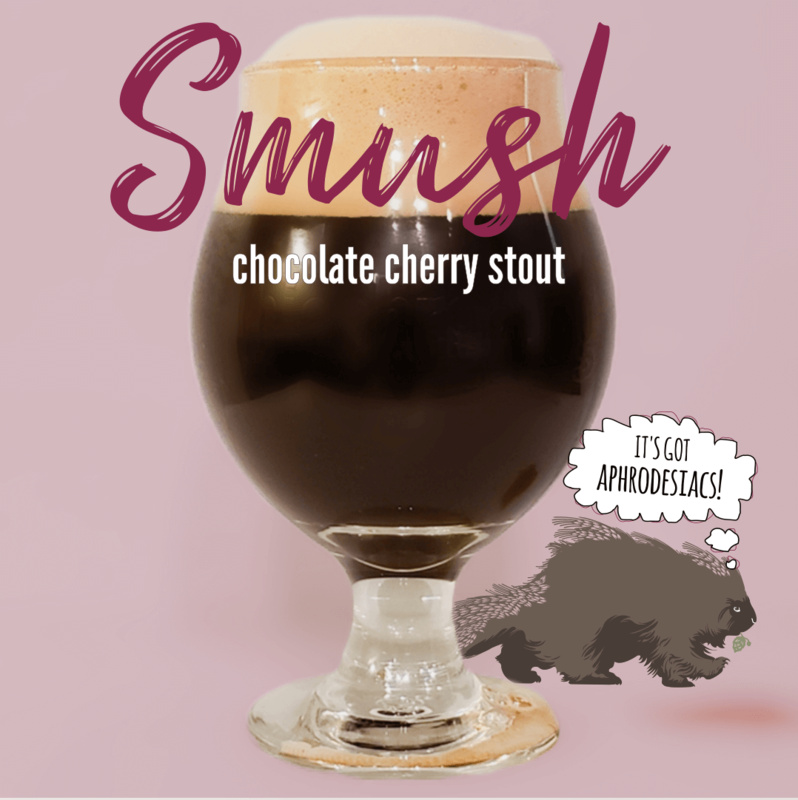 Smush Chocolate Cherry Stout was crafted especially for Downtown Kalispell’s signature February event “The Chocolate Affair”. This rich chocolately stout was bulk-aged with fresh ripe cherries, and hopped just hard enough to make the cherries really pop. Expect a slight tartness in the first cold sip, which will give way to a rich smooth fruity sweetness as the beer warms. Unlike Neff’s Chocolate Stout which we released in 2018, this beer has more of a milk chocolate profile than a dark chocolate profile. Smush. It’s what you do to cherries to add them to beer. It’s also how baby porcupines are made.